Looks much wider in this leak? Another photo of the Samsung Galaxy S8 and Galaxy S8+ side by side. This time I'm not so sure that this is the real deal though. Look at the ugly holes at the top for example. They look empty and too ugly to be real to me. 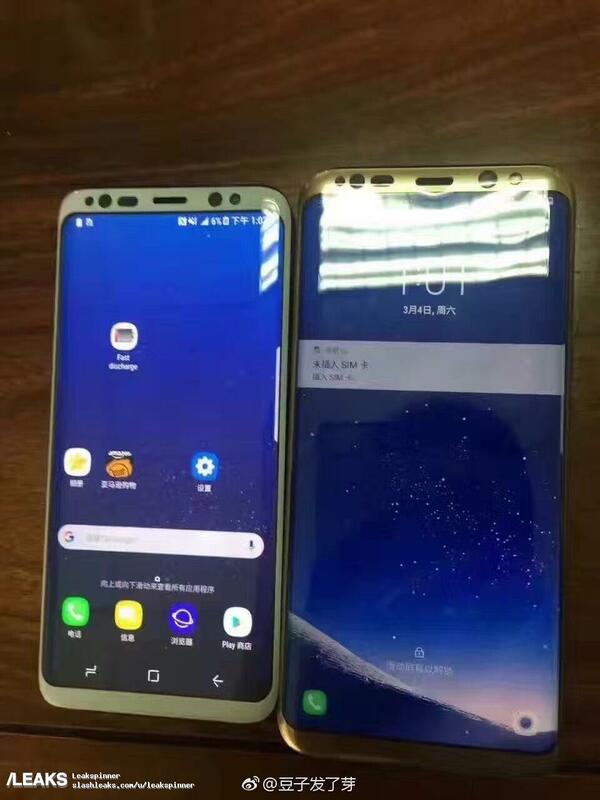 And the phones look much wider in this leak too. They can't have the rumored 18:9 aspect ratio if they are that wide. And they also look way to plastic to be honest, so these are probably some Chinese clones or something.